When you are making one of the biggest financial decisions of your life, knowledge and expertise matters. Nancy Karp, with more than fourteen years as a Realtor, has an outstanding reputation and a broad knowledge of Chicago's North Shore market. Nancy's success is in part due to her dedication to her clients and her resolve to help them achieve their goals. Building on her success, in 2014, Nancy launched Karp Real Estate Group, a residential real estate team within @properties. The team provides personalized service, expanded market exposure, and extended availability for clients. 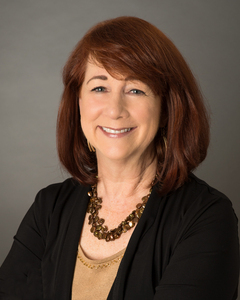 With an MBA from the Kellogg school at Northwestern University and over 30 years of experience in marketing and market research, Nancy provides her clients with a clear view of their local real estate market, market trends, and the variables that affect real estate prices. Nancy's sellers receive an easy-to-understand snapshot of the local market along with the relevant facts and information they need to price their homes for a quick sale. Nancy also provides sellers with guidance on staging, pricing, and negotiation strategies. "Nancy was a very knowledgeable and personable agent. She listened to my concerns during my home sale and addressed them appropriately. She was supportive and responsive during the preparation of my home for sale and during the time of the sale."